18-Apr-2019 Keppel Corporation - Upsizing O&M! Keppel Corporation Limited, an investment holding company, engages in the offshore and marine, property, infrastructure, and investments businesses in Singapore and internationally. The company engages in the construction, fabrication, and repair of offshore production facilities and drilling rigs, power barges, specialized vessels, and other offshore production facilities; research and development on deepwater engineering; the engineering, construction, and fabrication of platforms for the oil and gas sector, shipyard works, and other general business activities; the procurement of equipment and materials for the construction of offshore production facilities; and ship owning business. It is also involved in the trading and installation of hardware, industrial, marine, and building related products, as well as the provision of leasing services; production of jacking systems; sourcing, fabricating, and supply of steel components; ship repairing, shipbuilding, and conversions activities; marine contracting; painting, blasting, shot blasting, and process and sale of slag; property investment and development activities; fund management; golf course and hotel ownership and operation; development of marina lifestyle and residential properties; marketing agency business; trading of construction materials; development of district heating and cooling systems; electricity generation and supply, and general wholesale trade businesses; purchase and sale of gaseous fuels; trading of communications systems and accessories; and travel agency business. In addition, the company offers property management, engineering and procurement, towage, financial, trust management, logistics and supply chain, warehousing and distribution, data center, and co-location services; and technical consultancy for ship design and engineering works, as well as solid waste treatment solutions. Keppel Corporation Limited was incorporated in 1968 and is based in Singapore. jack_ng Waoh! a lot of investment house recommend this stock. Worth to consider buy in? 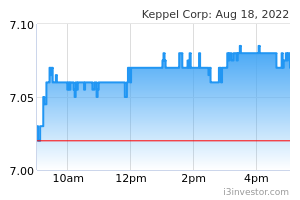 Trader Hub Keppel corp is a blue chip counter and is traditionally well covered by analysts. My conservative investment strategy in blue chip stocks is to look at the overall market index (FTSE). If the index is above SMA 200, then it can generally be considered an uptrend market and hence is safe to invest into blue chip counters. Else better stay away from them because they are sensitive to market index. In fact, they are the stocks that contribute directly to the movement of the market index. dyuen drop some more ?? ccc5197 wow why so big drop? NicholasNWH90 Dropped with much volume. Gotta wait for rebounding sign. NicholasNWH90 Now seem good to buy. Just need to wait for the selling pressure to ease and rebounding sign. 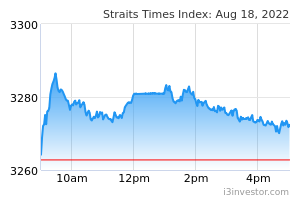 Keppel is index-linked and hence will be affected by the macro market. NicholasNWH90 Never come down already. Keppel please come down. Diamond7 Remember this tie key in to buy and wait at 4.80. Dont miss!!!! NicholasNWH90 tj u are also here!!! No people in i3 singapore one! it will go till 6.40..I am sure..
prince_mk98 I bought some at 5.78 and 5.65. Planned to keep for long term as it was a blue chip counter. besides that I also buy Keppel Reits too. NicholasNWH90 Hi Prince. Good one. I am holding both too. prince_mk98 i m holding both too, nicholas. hope u may join us at the link given earlier. most of use were Msian investing in Sg shares. NicholasNWH90 Prince where is the link? prince_mk98 Nicholas, here is the link. alibabacoming why? where got jia lat? NicholasNWH90 Thanks Prince! The forum is good. Hansel is good! if u wish to discuss abt Sg Reits, here s d link. chiongster1234 this counter just buy and buy and buy for retirement purpose? only sell when PE too high?